We should all do our part to help the planet. Whether it’s bringing your reusable bags to the grocery store, separating your glass, plastic, paper, and tin, using eco-friendly products, replacing your traditional lightbulbs with energy efficient bulbs, or even carpooling to work once a week, every little bit helps. The kitchen is a primary source of waste, both from food and chemicals. Non-recyclable food and cooking containers, chemical runoff from traditional cleaning products, and other common kitchen situations are bad for the environment. If you’re looking to go greener than before, consider starting in the kitchen with eco-friendly products. Here are eight of our favorite eco-friendly products for the kitchen to help you go green. Are you a coffee addict? Are you obsessed with latte art, the go-to person your friends consult when looking for the best espresso machine, or unable to survive without three or more cups of coffee a day? If so, you’ve likely discovered cold brew. But have you tried brewing it yourself? 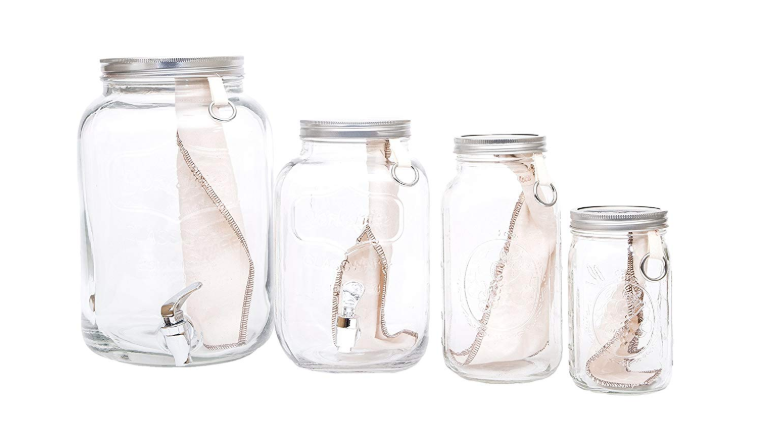 If not, (or even if you have but haven’t done it in an eco-friendly way) let us introduce you to the CoffeeSock Cold Brew Kit. Made in the USA, this DIY cold brew kit comes with a canning jar as well as a reusable filter that can last approximately one year. The CoffeeSock Cold Brew filter is a reusable alternative to nylon sacks and paper filters. Its organic cotton material absorbs some of the oil let off by the coffee beans and allows acids to pass through. The result is a rich cup of coffee with all the acid of paper brewed coffee but without the paper taste. Cleanup is easy too. Empty the grounds, rinse the sock, and hand dry. It will be ready for reuse in a few hours. Does your version of going green with eco-friendly products include trying out your green thumb? If buying organic herbs is wearing on your wallet, consider growing them yourself. It’s never been easier thanks to this Eco Planter Herb Kit. TheEco Planter Herb Kit offers a variety of herbs including select basil, parsley, cilantro, or mint. You can even purchase a set that includes all four. Each kit includes seeds, a frosted glass canning jar, a stainless steel net pot, coco pith disk, recycled glass growing medium, activated carbon, wick, plant food, and easy-to-follow instructions. 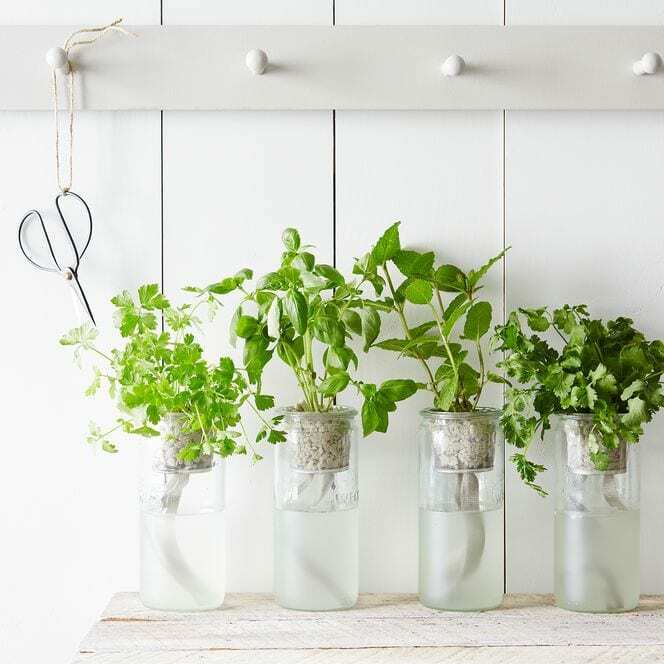 Find a sunny spot for your herbs to flourish, and you’ll see sprouts within weeks. Composting enriches the soil. It helps retain moisture, prevent plant disease, and even rid of pests. With compost, there’s less of a need for chemical fertilizer. In our parents’ generations, families often kept plastic bags near the trash to store their compost waste before dumping it outside in the compost pile. They were messy, smelly, and often forgotten. But today, we have countertop compost stations like the Noaway Countertop Wood Compost Bin. Noaway’s compost bins aren’t your traditional compost piles. First, they live atop your kitchen counter rather than hidden somewhere next to the trash. And secondly, they’re actually nice looking! Who knew a compost bin could be so attractive? 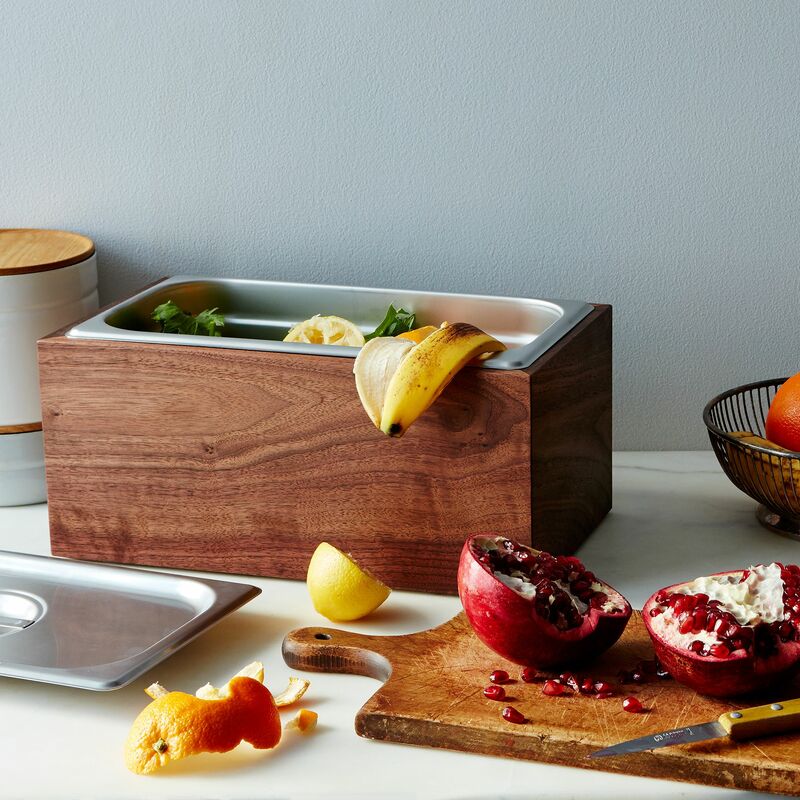 Comprised of salvaged walnut and a stainless steel pan and lid, you’ll be happy to let it live on your kitchen counter where you can place all your compost goods discreetly inside whether its banana peels, coffee grounds, egg shells, or another natural waste. Once it’s full, take it outside and transfer its contents to your garden compost if you have one. Paper towels are great. They can quickly clean up almost any spill, and they’re affordable and easily replaceable. But they’re also not the best for the environment. Each year, more than 13 billion pounds of paper towels are used in the USA. That’s 40 pounds per person! If you have pets or young children, you may need even more than the average amount. While some messes may require a disposable towel, most could be taken care of with a reusable one. There’s where Unpaper Towels can come in handy. Unpaper towels are what they sound like: paper towels that aren’t made of paper. Instead, they’re comprised of a linen/cotton blend fabric. 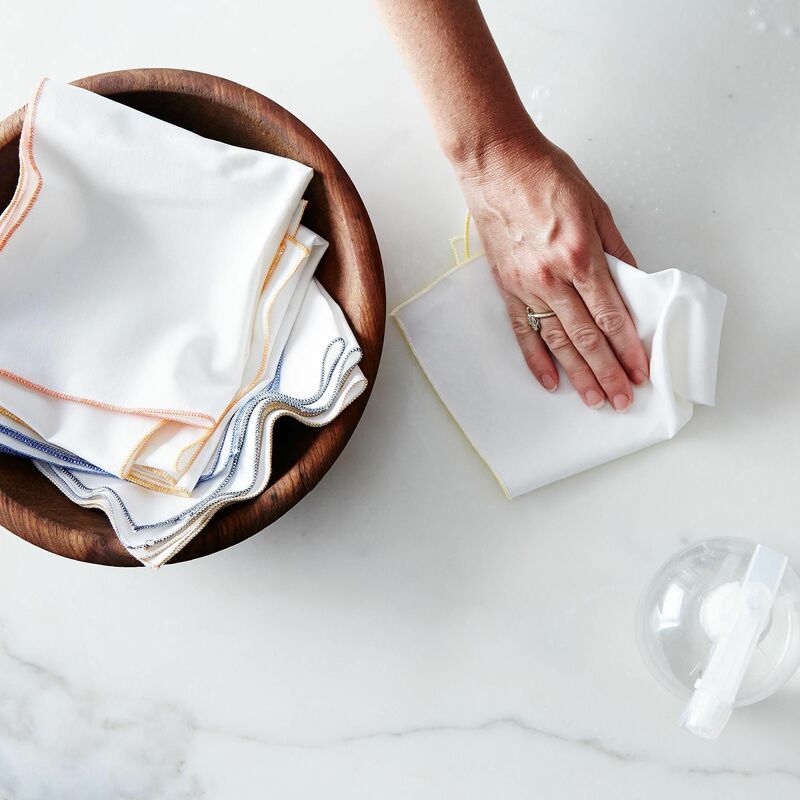 Each set comes with 16 “unpaper” towels measuring 12″ L x 14″ W. Just like paper towels, they can be used for everything from spilled milk to drying your hands! But unlike paper towels, they’re machine washable and can be reused. Like many, we have a love/hate relationship with plastic wrap. Yes, it’s great for keeping our leftovers fresh, but it’s plastic and thus isn’t sustainable. 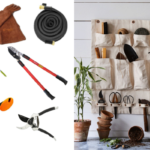 If you’re looking for eco-friendly products to use as an alternative, check out Bee’s Wrap. 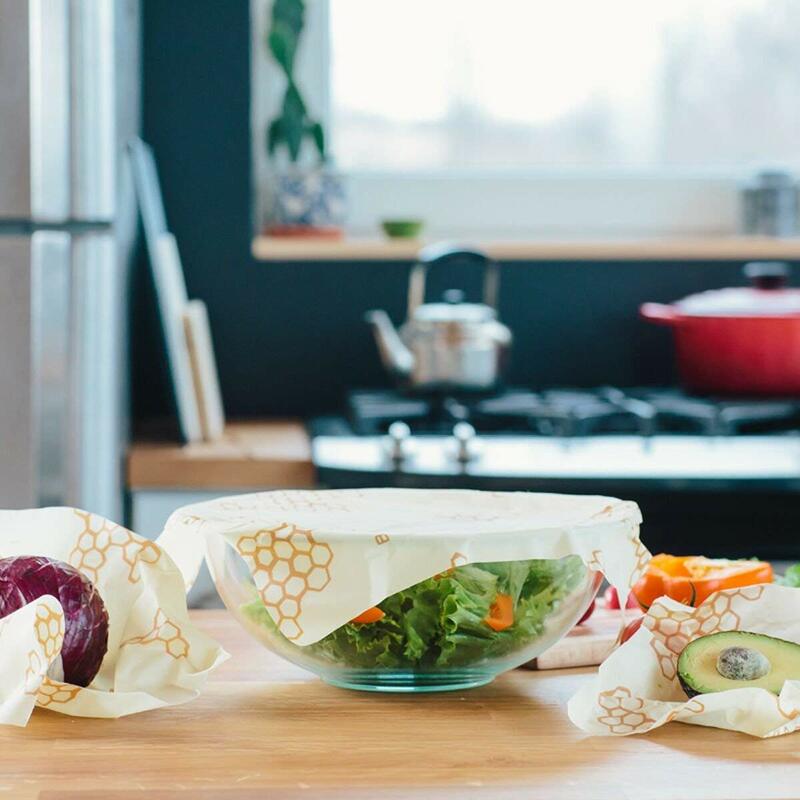 Bee’s Wrap is an eco-friendly reusable food wrap. It comes in three different sizes: small, medium, and large. Handcrafted in Vermont, this reusable wrap is made from organic cotton, sustainably harvested beeswax, organic jojoba oil, and tree resin. The wrap can be used multiple times a week and lasts about one year. Use it to cover bowls of food, freshly cut fruit and vegetables, or whatever you traditionally use plastic wrap for. To use it, rub your hands together to warm the wax, then use that warmth to soften the wrap and form it over whatever it is you wish to cover. As it cools, it will create a seal and naturally protect the food. 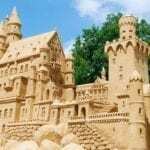 Once you’re finished with it, wash in cool water with mild soap and allow it to air dry. If you’re a coffee drinker, we told you how to go green with the CoffeeSock. But what if you’re a tea drinker instead? Don’t worry — we’ve got you covered with BODUM’s classic ASSAM Tea Press. If you’re familiar with a French Press, the ASSAM team press will be intuitive as it’s the same general brewing concept. 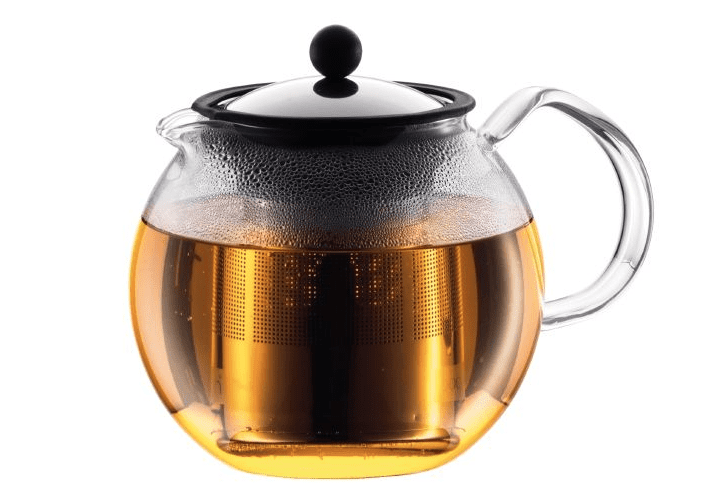 The tea press features a stainless steel filter with a silicone plunger. You simply fill the filter with team leaves, let seep, press, and then the plunger traps the leaves at the bottom of the filter with no more access to water. This allows the tea itself to be recycled and reused. The press can be used with either loose leaf tea or tea bags. This is one of the eco-friendly products that every tea drinker should have in their kitchen. Ziplock bags are great, but they’re plastic. And as we all know, plastic can take up to 1,000 years to decompose in landfills. So why cause excess waste when you reuse and recycle? You could reuse a ziplock bag, but instead, considerinvesting in eco-friendly products like reusable kitchen storage bags. More durable than ziplocks, reusable kitchen storage bags create airtight seals that keeps your food secure whether fresh or frozen. 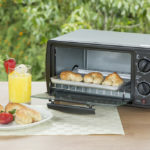 You can use them to freeze food and microwave food (yes, they’re microwave safe). Some are even safe to use in the sous vide! When you’re finished with the bag, throw it in the dishwasher. Conscientious Kitchenware mades some of our favorite reusable bags. Made of silicone, they’re known to keep food fresher for longer. Stasher is another brand of reusable bags we love. 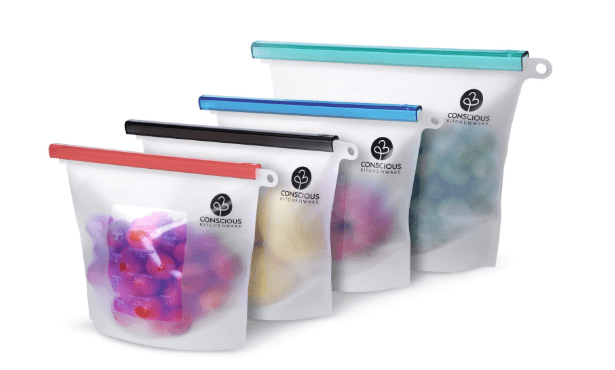 Similar to Conscientious Kitchenware, its bags are made of “natural, nontoxic, hypoallergenic and temperature-resistant silicone” and can even be used to bake food in the oven. 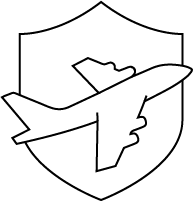 Both brands make high-quality eco-friendly products. Did you know that replacing your cleaning products with eco-friendly products can reduce chemical run off? Plus, it’s healthier for you and your family, especially if someone in your household has allergies. 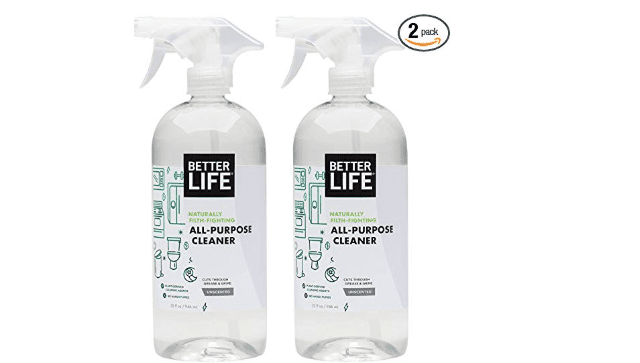 Better Life Natural All-Purpose Cleaner is one of our favorite non-toxic, eco-friendly products. for cleaning This all-purpose cleaner is 100% plant-derived from soap bark, coconut, and corn yet still fights grease and grime like traditional cleaning products. It can be used on toilets, countertops, walls, floors, cars, and almost any other surface you can imagine! It’s cruelty free and gentle on the planet thanks to an alcohol-free, dye-free, paraben-free complex. Looking for more ways to go green or incorporate more eco-friendly products into your life? 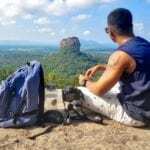 Consider doing away with bottled water and investing in a good water bottle (check out the different types of water bottles and how to choose from them). Also, consider riding your bike to work or bringing your own tote bag to the grocery store. Need more tips? Here are 5 small things you can incorporate into your life to help improve the planet.